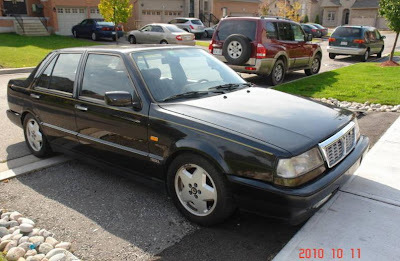 The concept has been around forever and it's something that US automakers used to do very well: Take an ordinary sedan, find a big V8 in your inventory, drop it in, and turn the ordinary sedan into something interesting, sometimes extraordinary. 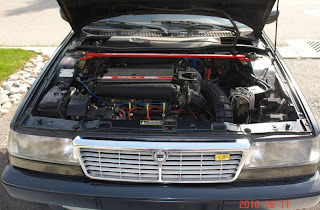 The big difference between Fiat / Lancia and GM, Ford and Chrysler is that when Fiat / Lancia looks into their inventory for a V8, they find ones made by Ferrari. The 8.32 has a version of Ferrari's 4 valve V8, similar to the one found in the 308 QV. (8.32 stands for 8 cylinders, 32 valves.) The 8.32's version of this engine produced between 202 and 212 HP (depending on emissions equipment) and got the car to 60 MPH in the high 6 to low 7 second range. All of that power was put to the ground via the front wheels. 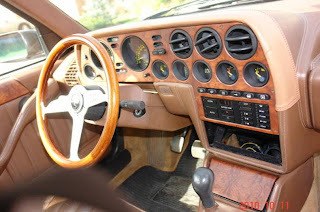 The 8.32 interior got a full luxury treatment, but the body looks like any other Thema (except for the retractable rear spoiler), making this car an ultimate sleeper. 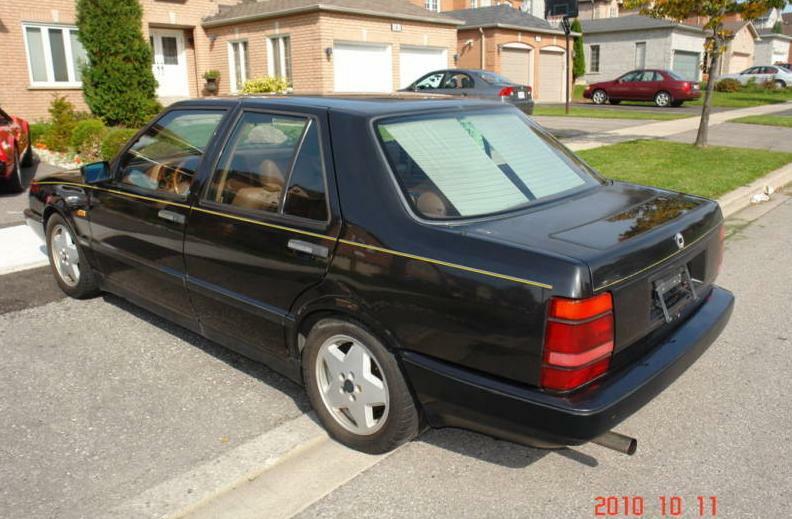 This Thema 8.32 is listed as a 1980 model (wink, wink). It is in overall good condition, needing just some minor work. The seller states "I have 2 Ferraris and they take up all of attention so I will need to pass this rare Lancia to another enthusiast like myself". He is also either very confident or very crazy, as he's offering this car on eBay with no reserve. These cars now sell for relatively little money in Europe. They were close to $70,000.00 when new, but decent ones can now be found for $12K - 15K (Don't even think about a project car! ), with spectacular ones going for just around $20K. 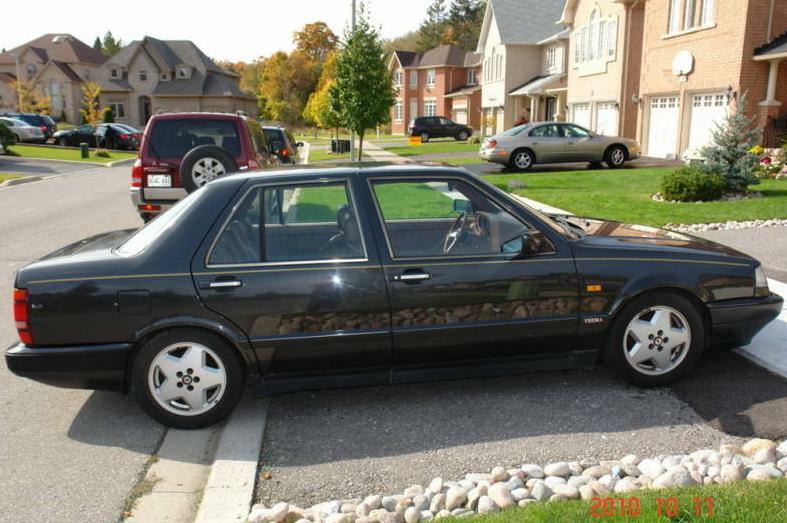 It will be interesting to see what this car - being extremely rare in North America - goes for. Located in North York, Ontario, Canada, click here to see the eBay listing. A big thanks to JaCG reader, Blair, for sending me the link to this car. One of these poped up the other day for sale here in Portugal. Very rare indeed. Its a 87 with only 37000 kms and the seller is asking 13,000 euros. Sadly it doesn't really have the Ferrari soundtrack either. The Ferrari version of the engine used a flat plane crank, which gives it the beautiful exhaust note. Yeah, I randomly stumbled upon the car while I was bored late last night. I figured it would be perfect for this site. I am flattered that it was posted. If only it could be imported (legally) into the U.S. instead of having to wait for a few years. Never before have I come so close to bidding on a car on ebay. I always felt these were intended for the REALLY rich guys who didn't want to stand out like someone in a Benz or BMW, but still wanted room to travel with his bodyguards and have a car with enough power to outrun kidnappers and/or carry around bulletproof glass and light armoring. So you lose the badgework and tint the windows and the anonymity became a kind of protection in itself.